The silver wedding anniversary is a milestone in a couple's life. This 25th anniversary Poetry Gift makes a wonderful personalized keepsake. Appropriate gift for an anniversary party celebrating your parents, friends' or relatives' silver anniversary. 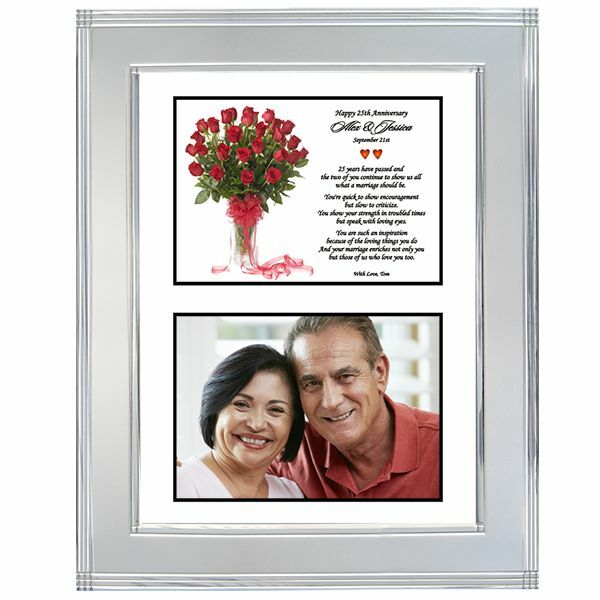 Congratulate the anniversary couple on their 25th anniversary with this silver wedding anniversary gift. 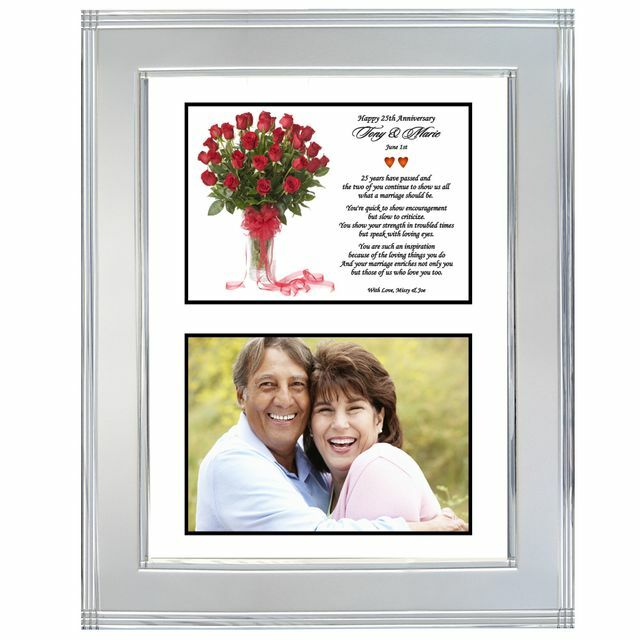 Personalized heartwarming poem in a beautiful stepped brushed silver picture frame. A memorable 25th anniversary gift for parents, aunts & uncles, and friends.